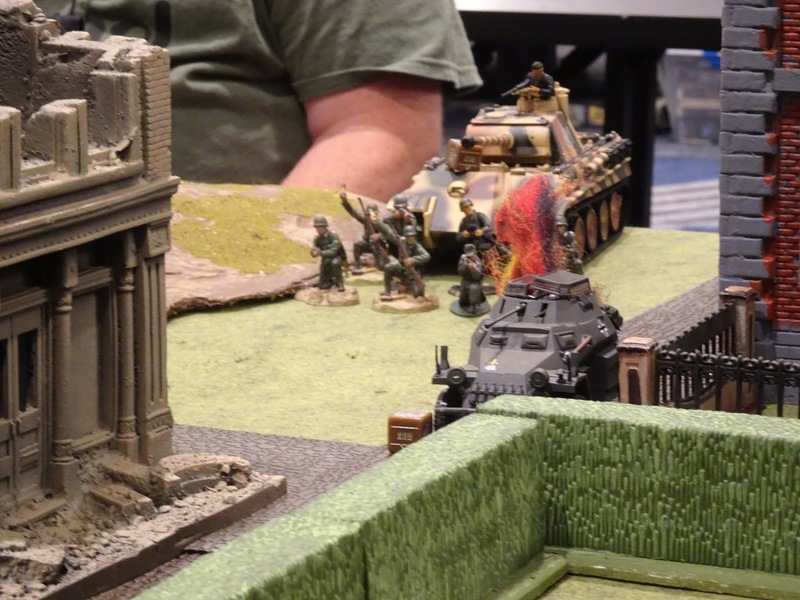 I ran a Bolt Action game at our local Pacificon convention on Sept. 1. 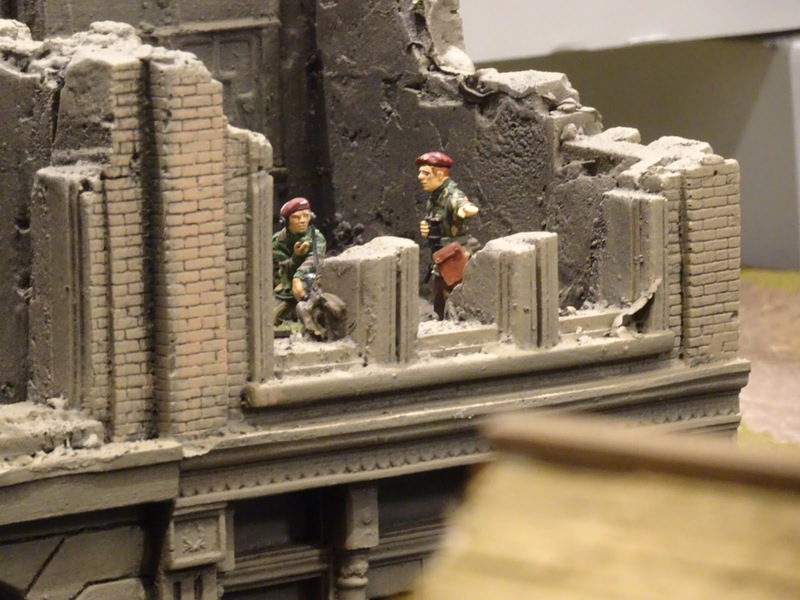 The game was based on the British airborne defense of the north end of Arnhem Bridge. 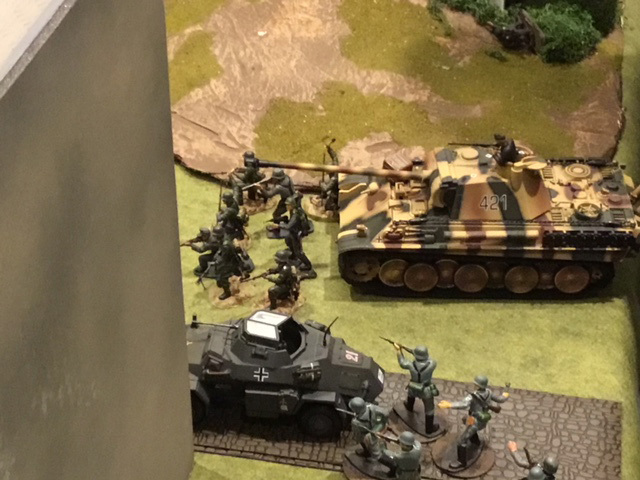 The British began the game in hidden positions marked on a map and the Germans had to find them, usually by springing an ambush. 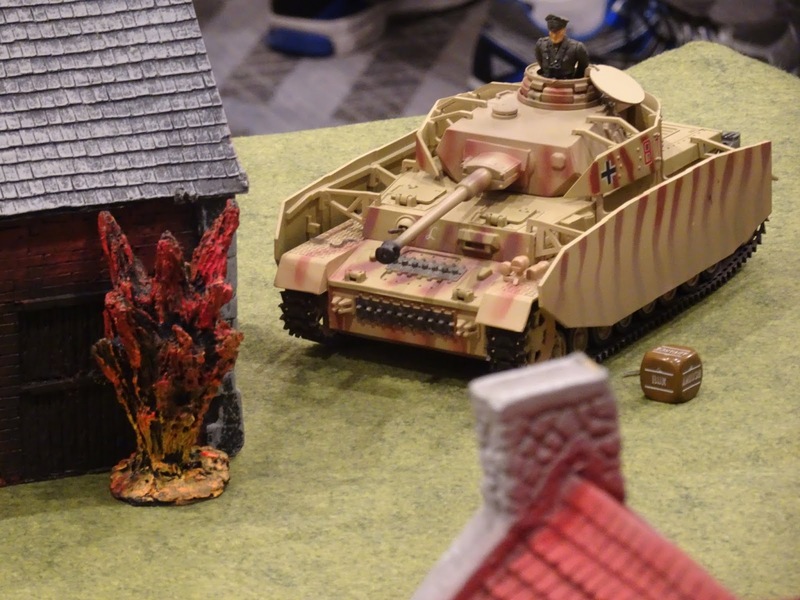 The British managed to hold their own until the German tanks began destroying houses with HE, as happened historically. 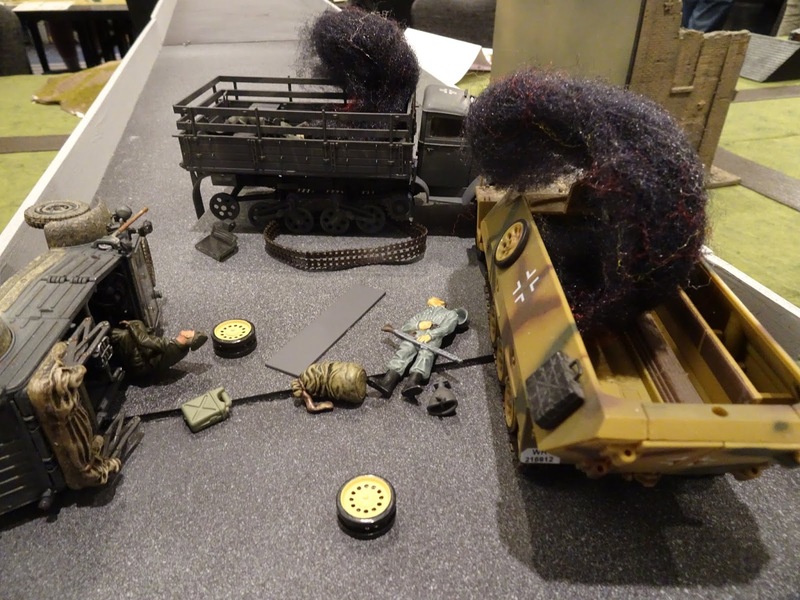 Even though we used 54mm figures and vehicles, I used the measurements for 28mm and it seemed to work. My rationale was that in urban fighting movement and ranges are compressed. That is a great looking game. Great stuff – I started with these great to see them in use! An excellent game in terms of unusual and visual. These sort of games are great at shows for getting folk interested. Nice work and i hope the show was grateful for all your work!. Great buildings and I love the explosion markers. 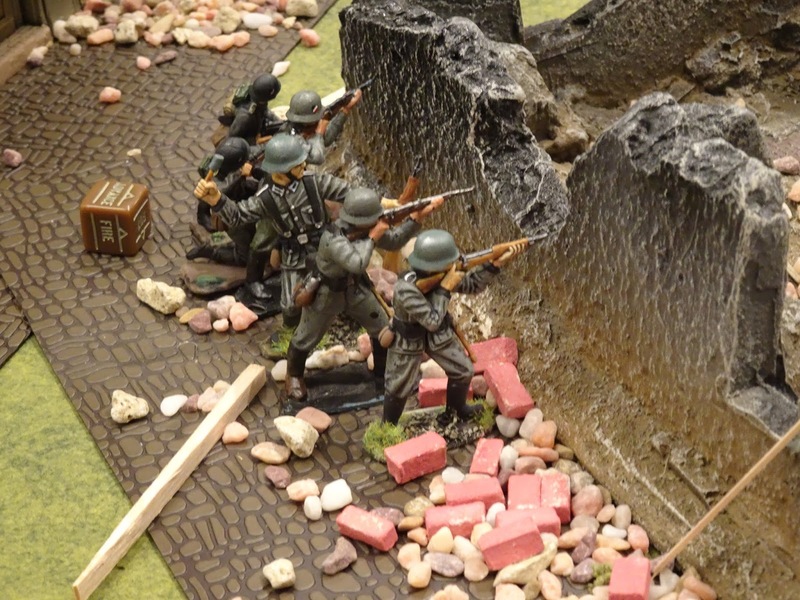 We play 54mm Arnhem games quite a lot using Bolt Action and just ignore ranges save for PIATS etc. Did you make the buildings from scratch? Thanks for the compliments! uglyfatbloke, so you don't use any ranges except for PIATs? Just curious, what range do you use for PIATs? I cannot take credit for the buildings, aside from giving them a paint job. 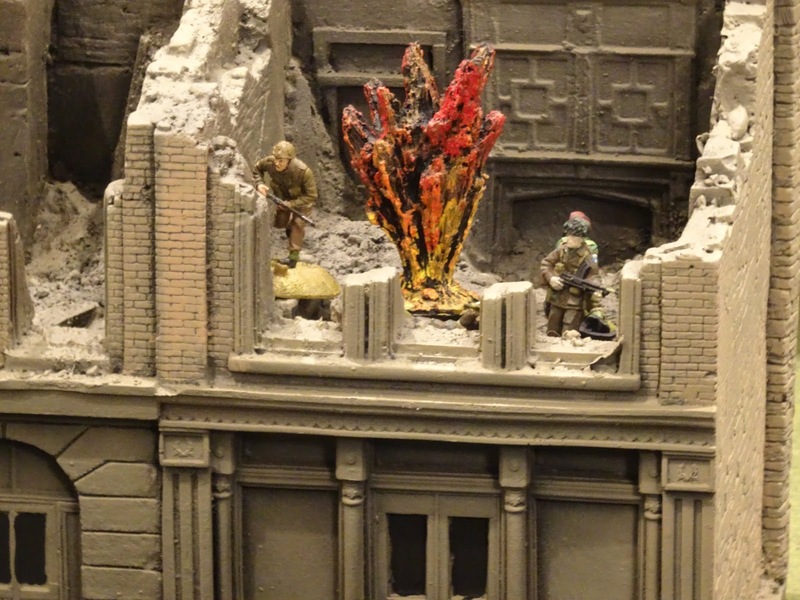 The ruined buildings are by Atherton Scenics, available on eBay. 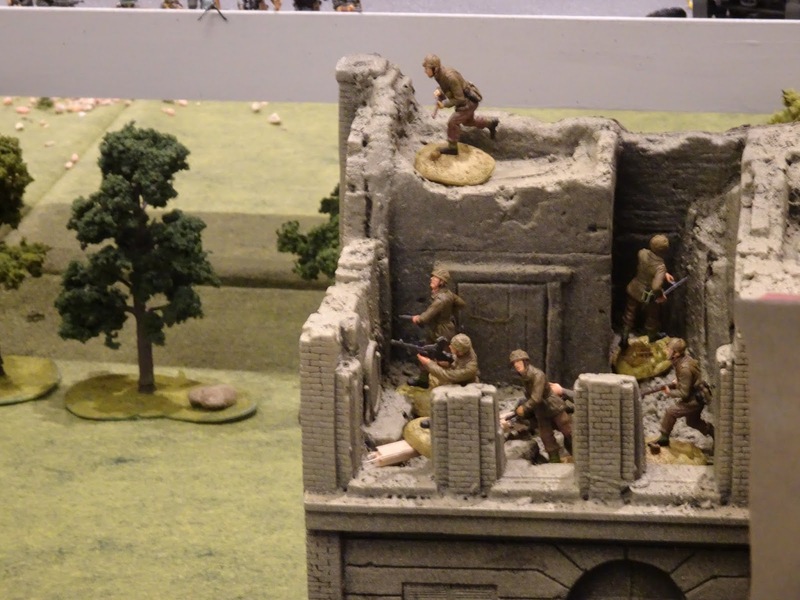 The European buildings are available from the Hobby Bunker. I did scratch build the elevated roadway. I actually had part of the bridge built but then I realized that the bridge and river would take up valuable game table space. 18" for PIATs an Panzerfausts, 36" for Panzerschreks and bazookas with a +1 to hit over half range. We ignre pistols entirely and everything else if yiou cna see it you can hit it and everything is +1 to hit beyond 24 inches. 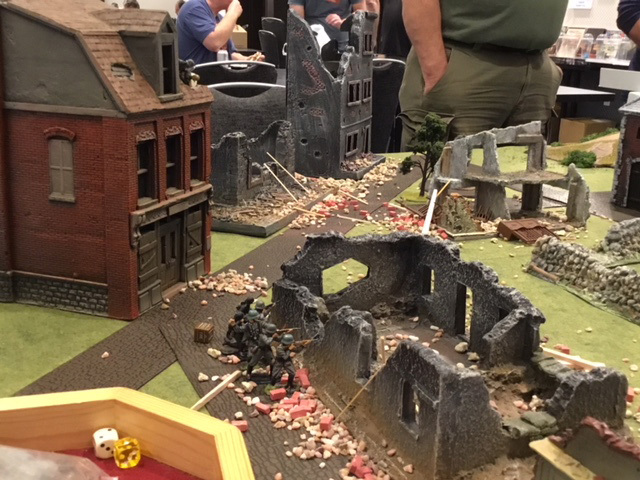 That said we do cram the table with a lot of scenery so there's not much LoS. We do the same a lot with 28mm – 1 inch on the tale equals 2 yards. 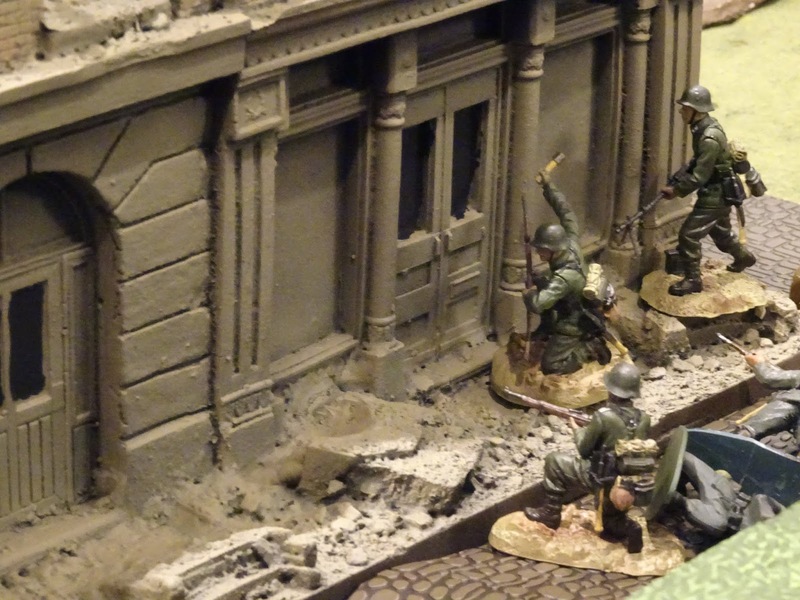 We've played a lot of Arnhem games tightly based on actual locations…sometimes we've actually played them in Arnhem. We'll have one later this month (part of our event over the commemorative weekend) in what used to be called the Rhine Pavilion (near St. Elisabethof) with a model of that building on the table. 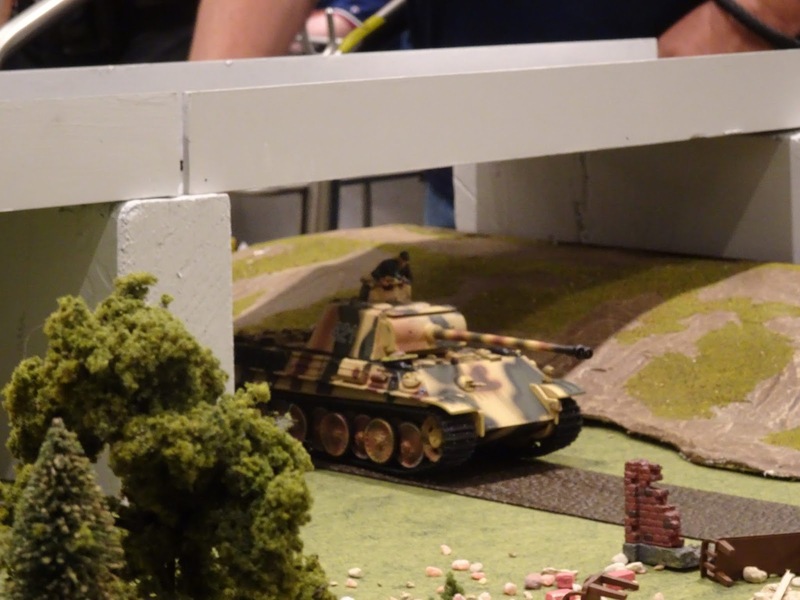 Check out our Facebook group 'Arnhem Wargames' and see what we're up to! Sadly I don't think Atherton or Hobby Bunker are available in the UK. Amazing work, Nick. It's always such a pleasure to see what you're up to! 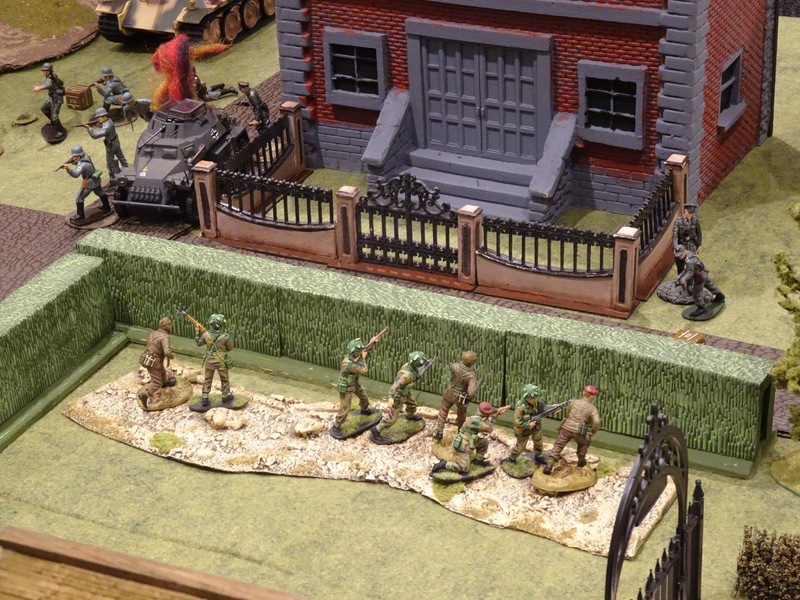 Well done Nick, great to see a 54mm historical war-game. I hope that the show thanked you for all your efforts in producing and running the game. Are those the ones used for those big Crossfire games put on at shows? Yup. We got a large part of the collection. 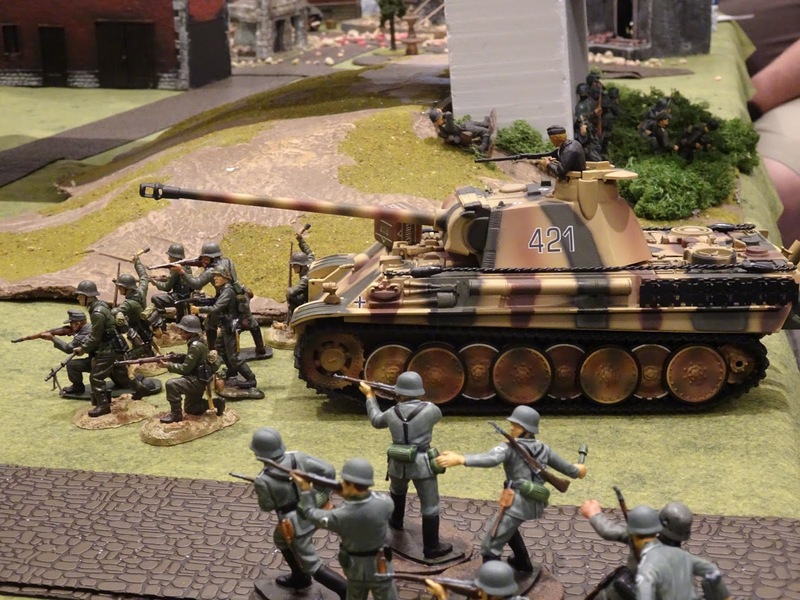 They are based for Crossfire and we've added some single figures so we can 'make change' since we generally use our field-stripped version of Bolt Action. If you check out byjohn54 photobucket there's loads of pics.